BSI Standards Publication BS EN 15286:2013 Agglomerated stone — Slabs and tiles for wall finishes (internal and external)BS EN 15286:2013 BRITISH STANDARD National foreword This British Standard is the UK implementation of EN 15286:2013. The UK participation in its preparation was entrusted to Technical Committee B/545, Natural stone. A list of organizations represented on this committee can be obtained on request to its secretary. This publication does not purport to include all the necessary provisions of a contract. Users are responsible for its correct application. © The British Standards Institution 2013. 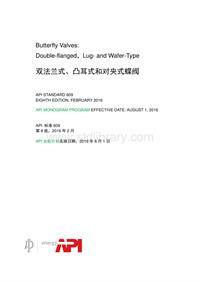 Published by BSI Standards Limited 2013 ISBN 978 0 580 75404 3 ICS 91.100.15 Compliance with a British Standard cannot confer immunity from legal obligations. This British Standard was published under the authority of the Standards Policy and Strategy Committee on 30 June 2013. Amendments issued since publication Date Text affectedBS EN 15286:2013EUROPEAN STANDARD NORME EUROPÉENNE EUROPÄISCHE NORM EN 15286 June 2013 ICS 91.100.15 English Version Agglomerated stone - Slabs and tiles for wall finishes (internal and external) Pierres agglomérées - Carreaux et plaques pour finitions murales (intérieures et extérieures) Künstlich hergestellter Stein - Platten und Fliesen für Wandflächen (innen und außen) This European Standard was approved by CEN on 25 April 2013. CEN members are bound to comply with the CEN/CENELEC Internal Regulations which stipulate the conditions for giving this European Standard the status of a national standard without any alteration. Up-to-date lists and bibliographical references concerning such national standards may be obtained on application to the CEN-CENELEC Management Centre or to any CEN member. This European Standard exists in three official versions (English, French, German). A version in any other language made by translation under the responsibility of a CEN member into its own language and notified to the CEN-CENELEC Management Centre has the same status as the official versions. CEN members are the national standards bodies of Austria, Belgium, Bulgaria, Croatia, Cyprus, Czech Republic, Denmark, Estonia, Finland, Former Yugoslav Republic of Macedonia, France, Germany, Greece, Hungary, Iceland, Ireland, Italy, Latvia, Lithuania, Luxembourg, Malta, Netherlands, Norway, Poland, Portugal, Romania, Slovakia, Slovenia, Spain, Sweden, Switzerland, Turkey and United Kingdom. EUROPEAN COMMITTEE FOR STANDARDIZATION COMITÉ EUROPÉEN DE NORMALISATION EUROPÄISCHES KOMITEE FÜR NORMUNG Management Centre: Avenue Marnix 17, B-1000 Brussels © 2013 CEN All rights of exploitation in any form and by any means reserved worldwide for CEN national Members. Ref. No. EN 15286:2013: EBS EN 15286:2013 EN 15286:2013 (E) 2 Contents Page Foreword 4 1 Scope 6 2 Normative references 6 3 Terms and definitions .7 4 Requirements .7 4.1 Geometric characteristics .7 4.1.1 Dimensions .7 4.1.2 Tolerances in dimensions .8 4.1.3 Tolerances in flatness .8 4.1.4 Straight angles .9 4.1.5 Surface finish .9 4.2 Physical and mechanical characteristics 9 4.2.1 General 9 4.2.2 Visual appearance .9 4.2.3 Reaction to fire 10 4.2.4 Apparent density and water absorption . 10 4.2.5 Flexural tensile strength 10 4.2.6 Thermal conductivity 10 4.2.7 Thermal shock resistance 10 4.2.8 Linear thermal expansion coefficient . 11 4.2.9 Dimensional stability 11 4.2.10 Bond strength/adhesion 11 4.2.11 Resistance to fixings 11 4.2.12 Release of dangerous substances 11 4.2.13 Durability of flexural strength against freeze and thaw cycles 12 5 Test methods . 12 6 Evaluation of conformity 12 6.1 General rules . 12 6.2 Initial Type Testing – Type Testing . 12 6.2.1 General . 12 6.2.2 Test samples, testing and compliance criteria 13 6.2.3 Test reports . 15 6.3 Factory production control (FPC) . 15 6.3.1 General . 15 6.3.2 Requirements 15 6.3.3 Product specific requirements 19 6.3.4 Initial inspection of factory and of FPC 20 6.3.5 Continuous surveillance of FPC . 20 6.3.6 Procedure for modifications 21 7 Marking, labelling and packaging . 21 Annex A (normative) Determination of dimensions of cladding slabs . 22 A.1 Measurement of length and width. 22 A.1.1 Apparatus 22 A.1.2 Test specimens . 22 A.1.3 Procedure 22 A.1.4 Expression of results . 22 A.1.5 Test report . 22 A.2 Measurement of thickness . 23 BS EN 15286:2013 EN 15286:2013 (E) 3 A.2.1 Apparatus . 23 A.2.2 Test specimens 23 A.2.3 Procedure . 23 A.2.4 Expression of results 23 A.2.5 Test report 23 A.3 Measurement of flatness 23 A.3.1 Apparatus . 23 A.3.2 Test specimens 24 A.3.3 Procedure . 24 A.3.4 Expression of results 25 A.3.5 Test report 26 Annex B (normative) Determination of straight angles of cladding slabs and tiles 27 B.1 Apparatus . 27 B.2 Test specimens 27 B.3 Procedure . 27 B.4 Expression of results 27 B.5 Test report 27 Annex C (normative) Reference sample, visual inspection and acceptance criteria 28 Annex ZA (informative) Relationship between this European Standard and the Essential Requirements of EU Directive 89/106/EEC, Construction Products Directive 30 ZA.1 Scope and relevant characteristics . 30 ZA.2 Procedures for attestation of conformity of agglomerated stone cladding slabs and tiles 33 ZA.2.1 Systems of attestation of conformity 33 ZA.2.2 EC certificate of conformity and EC declaration of conformity 35 ZA.3 CE marking and labelling 36 Bibliography 42 BS EN 15286:2013 EN 15286:2013 (E) 4 Foreword This document (EN 15286:2013) has been prepared by Technical Committee CEN/TC 246 “Natural stones”, the secretariat of which is held by UNI. This European Standard shall be given the status of a national standard, either by publication of an identical text or by endorsement, at the latest by December 2013, and conflicting national standards shall be withdrawn at the latest by December 2013. Attention is drawn to the possibility that some of the elements of this document may be the subject of patent rights. CEN [and/or CENELEC] shall not be held responsible for identifying any or all such patent rights. This document has been prepared under a mandate given to CEN by the European Commission and the European Free Trade Association, and supports essential requirements of EU Directive(s). For relationship with EU Directive(s), see informative Annex ZA, which is an integral part of this document. This document is one of a series of European Standards for specifications of agglomerated stone products, which includes the following:  EN 15285, Agglomerated stone — Modular tiles for flooring and stairs (internal and external)  EN 15286, Agglomerated stone — Slabs and tiles for wall finishes (internal and external)  EN 15388, Agglomerated stone — Slabs and cut-to-size products for vanity and kitchen tops NOTE 1 A document on slabs and other cut-to-size products for flooring and stairs (internal and external) is under development within CEN/TC 246/WG 4. NOTE 2 An overview on standards for agglomerated stone products is given in Table 1. Table 1 — Standards for agglomerated stone products Harmonised product standards EN 15285 Modular tiles for flooring and stairs (int. − matte finished surfaces, obtained, e.g. by means of a polishing disk with grain size F 400; − highly polished surfaces, obtained, e.g. by means of a polishing disk or felt. 4.2 Physical and mechanical characteristics 4.2.1 General The characteristics of the cladding slabs or tiles in 4.2.2 to 4.2.12 shall be declared when these products are subject to regulatory requirements and may be declared otherwise with reference to intended end use conditions. Contractual specifications may be used to establish reference values, e.g. stated in design or manufacturer’s data sheet, due account being taken of any regulatory requirements applicable. 4.2.2 Visual appearance This characteristic of a cladding slab or a tile shall be declared. The colour, surface finish and brightness of the agglomerated stone, which a cladding slab or a tile is made of, shall be identified visually according to Annex C, e.g. by a range of samples selected in agreement between manufacturer and purchaser. Any visual variations, e.g. inclusions and veins, are permissible provided that they are characteristic of the relevant type of agglomerated stone and provided that they do not adversely affect the performances of the cladding slabs or tiles.